Six hours of feline fun and adventure on live action video. Now you can treat your cat to an adventure-filled journey without leaving home! 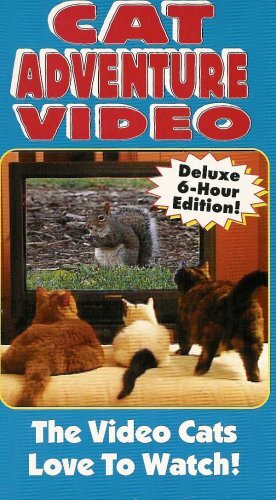 With this action-packed video, enhanced by sounds of nature, cats think they are in the great outdoors, frolicking with frisky squirrels, chasing colorful birds, reaching for fluttering wings of butterflies, following the aquatic dives of exotic fish...and much, much more. Plays 6 hours!